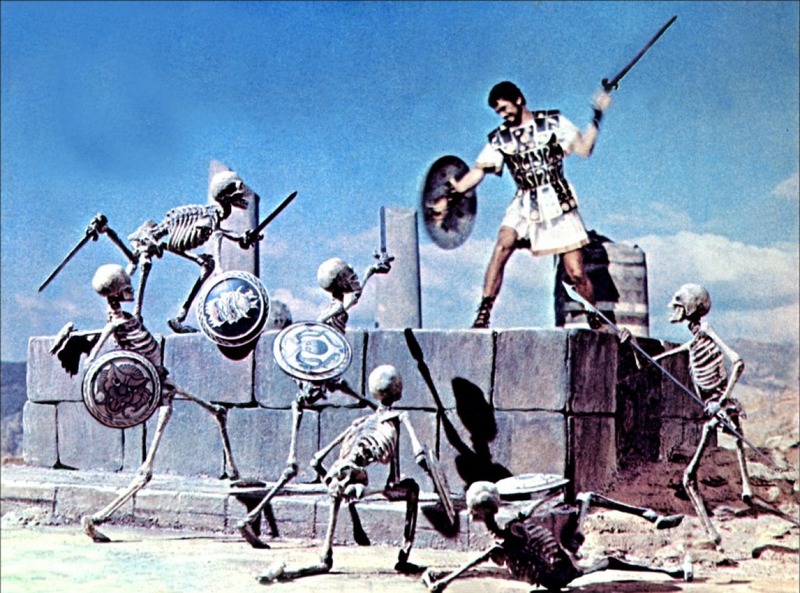 While I can’t speak for today’s young kids watching movies and what will forever be titles they look back at fondly and perhaps sought out growing up, I do know that anytime a Ray Harryhausen F/X feature turned up on television growing up, I was sitting front row and center in front of our family TV. It was such a wonderful discovery to connect the dots. There was such a distinct flavor to his stop motion animation that even though I had no idea who Ray was, I knew that I liked the specific look he was creating on film. 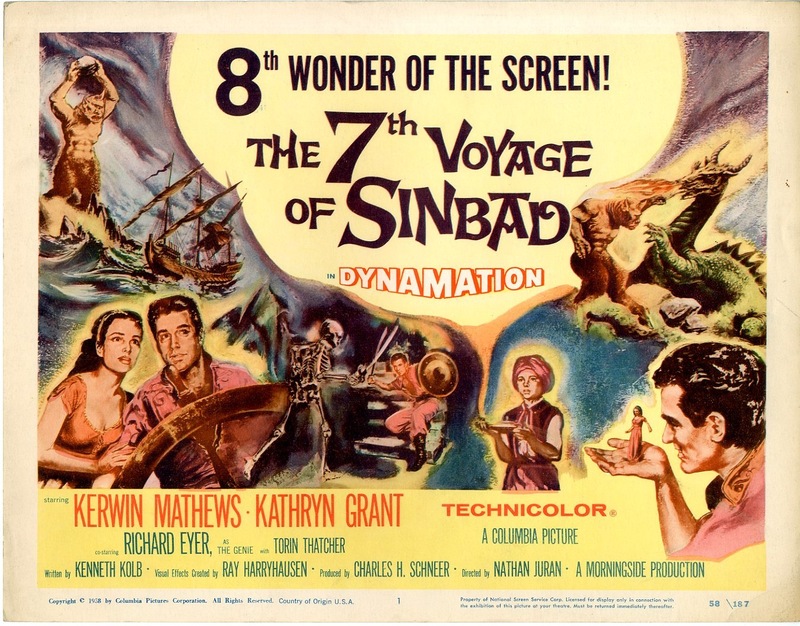 I know my Mother directed me to The Seventh Voyage of Sinbad and First Men In the Moon. You just knew that upon seeing Mysterious Island and Jason and the Argonauts that the same man had to be responsible for creating these magical movies and the monsters within. 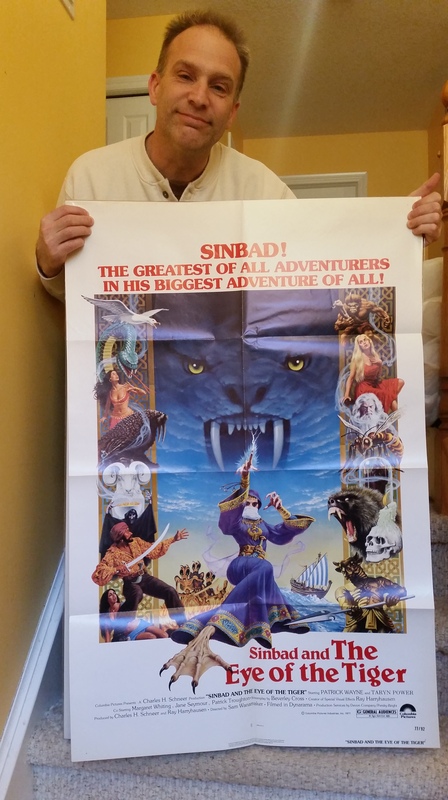 While I can’t swear to it I am pretty sure I saw Sinbad and the Eye of the Tiger at the theater. And while I may not be correct, I do know I acquired the film poster years ago and it is my one and only poster of Ray’s work. In other words, it’s a treasure. 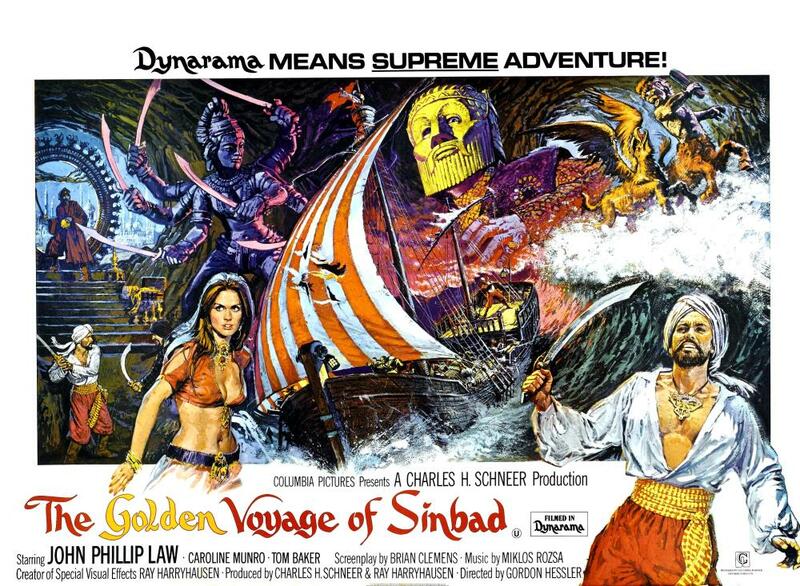 John Phillip Law made a fine Sinbad and Caroline Munro a suitable beauty in his second Sinbad effort. The mind blowing skeleton fight shows up when Jason takes to the seas. 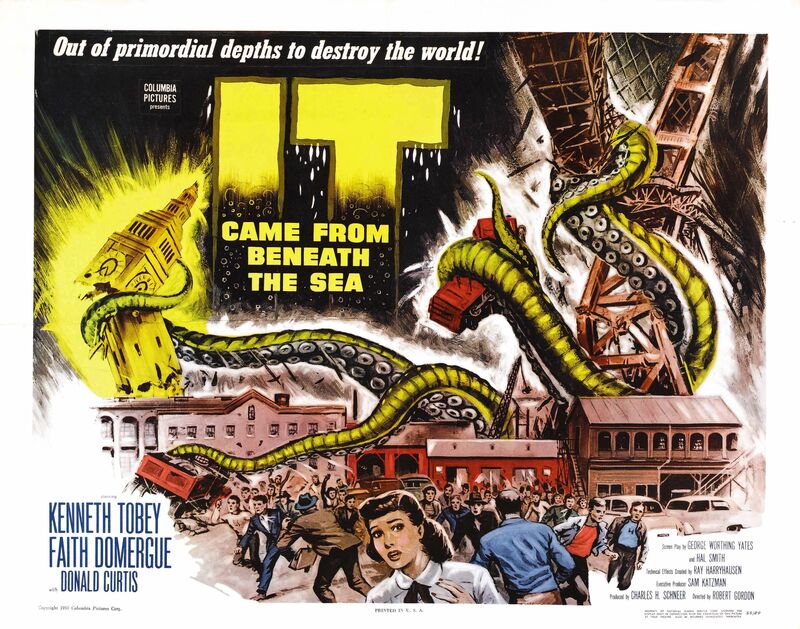 Before the Sinbad titles he joined the fifties flicks of giant monsters attacking modern day cities. 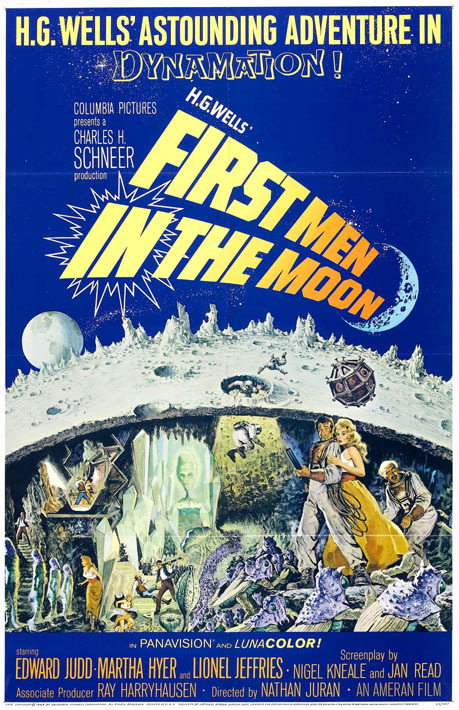 The charm of this space travel film never fades. 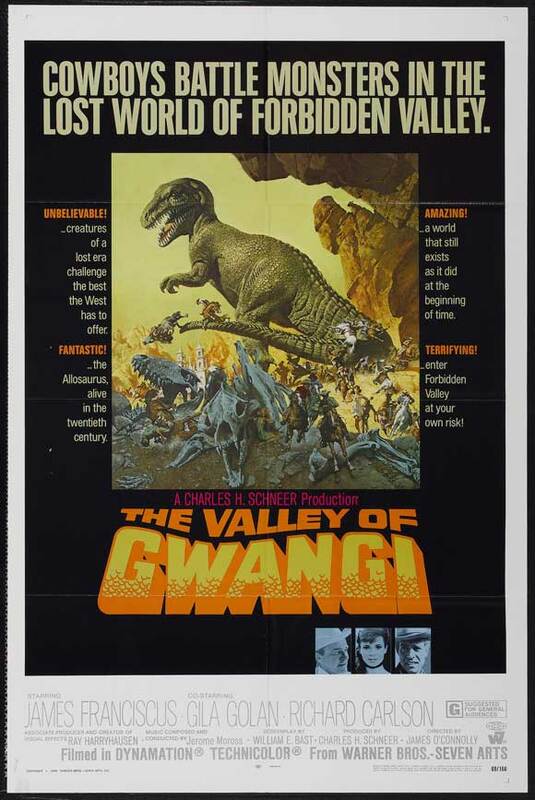 This western/monster flick features some great work from Mr. Harryhausen and deserves to be better known. It also has the added bonus of James Franciscus. When Ray’s work was in a movie, you didn’t care who was the director. It was a Harryhausen Film. 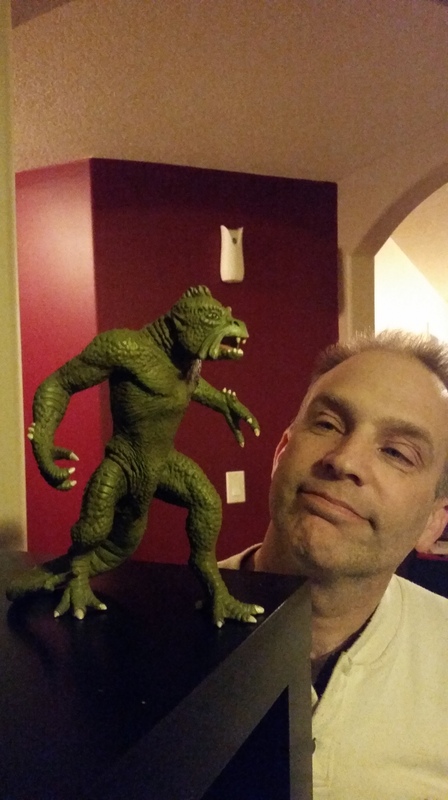 Every home should have it’s very own Ymir. That’s true about fx not being recognizable anymore. Even right up through 80s horror there were fx masters whose work you could tell apart. The skeleton fight was my first memory of his creations. Rick Baker was good at the effects following Ray. but now I just don’t know anymore. Unidentifiable. The sweet spot was getting a Harryhausen flick with a Bernard Herrmann score. 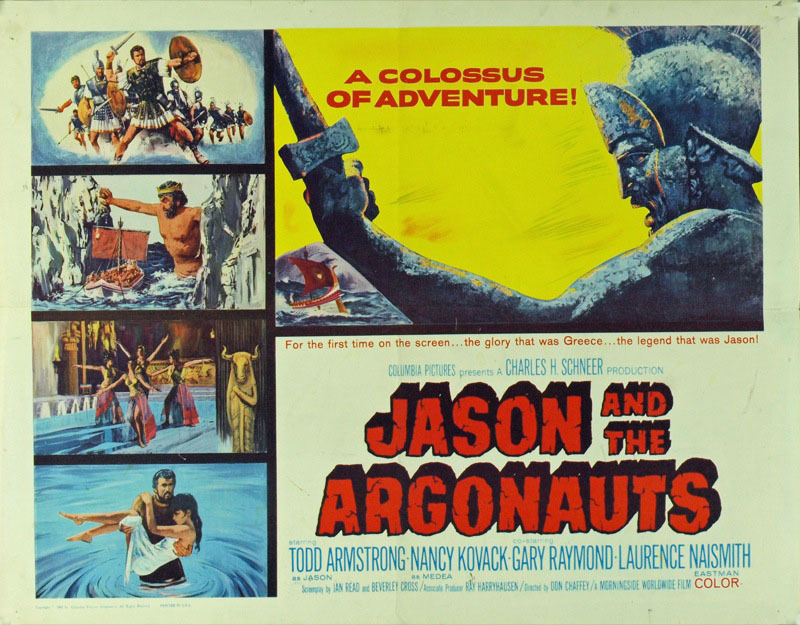 I can recall seeing Jason and the Argonauts for the first time as a kid one summer afternoon and when Talos appeared (with that doom-y music playing), outside a HUGE thunderstorm kicked up and lasted until that bronze behemoth went down from his heel injury (lol). That piece of music has burned itself into my brain and I can swear I hear it whenever we get a storm here. Fortunately, there are a few good practical FX studios left out there, but much of their work is “enhanced” with CGI (boo!) or they toil in relative “obscurity” on low budget projects. I’d add Rob Bottin to that list of memorable FX guys (The Howling, The Thing), the last Stan Winston (and his studio of course) stuff by KNB (too many movies to count), The Woodruff brothers, WETA Workshop’s non-digital FX work and some other folks I can’t think of off the top of my head. Stan Winston did some great work. Both howling and Thing are amazing. Something special about those child memories of Ray’s films to be sure.